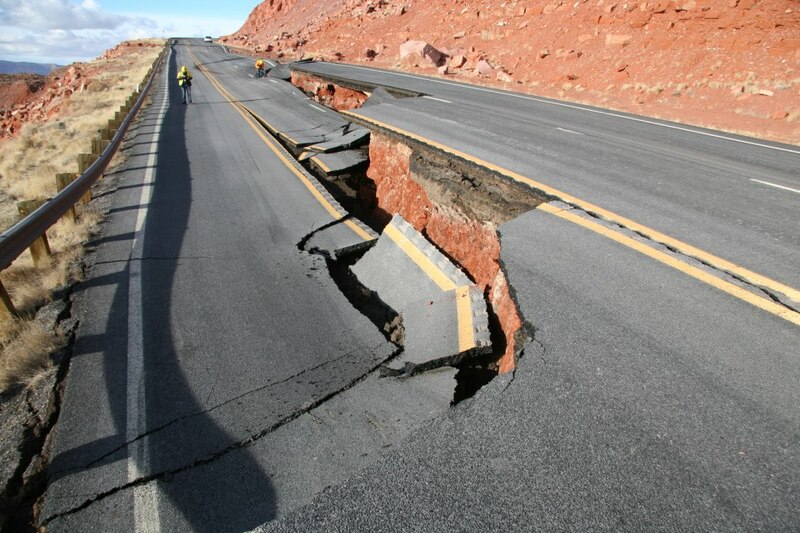 There have been 7 earthquakes recorded in northwest Arizona along the Nevada border during the past few days. The latest one of magnitude 1.0 occurred around 4 pm local time yesterday (March 30). 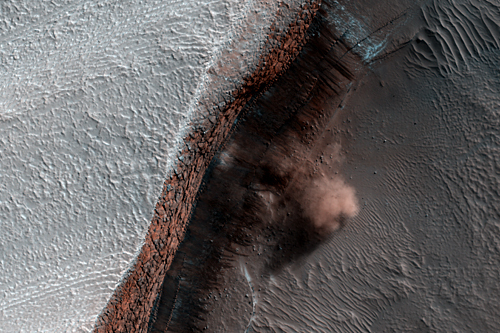 The largest one was a magnitude 2.3 on March 28. The smallest one is only magnitude 0.8. 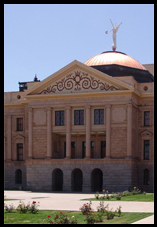 An email sent out to Arizona members of AIPG reports that the bill to eliminate licensing of geologists and other professions in Arizona (HB2613) is set to be discussed in Senate Caucus today and could be voted on by the entire Senate by Wednesday or Thursday this week. AIPG, other local professional associations, and industry groups are attempting to amend the bill to remove geologists from it. 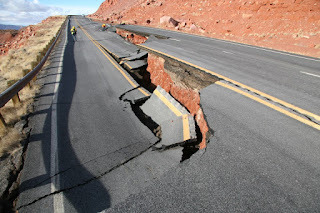 Tucson-based consulting geologist David Briggs published an opinion piece in the Arizona Independent newspaper urging the preservation of the services and products of the Arizona Geological Survey, in response the Gov. Ducey's plan to transfer our duties to the University of Arizona, effective this coming July 1. In January 2016, Arizona Governor Doug Ducey released his Proposed Executive Budget for Fiscal Year 2017, where he recommended consolidating the AZGS with the University of Arizona. This proposed restructuring of state government has raised concerns among many in the Arizona’s geological community, who fear it will severely limit the Arizona Geological Survey’s ability to serve the citizens of Arizona. I urge those who will ultimately determine the fate of the Arizona Geological Survey to find a way for it to continue the important work it has done for the citizens of Arizona. The details of the transfer are being worked out by officials in the Governor's office and the University. Some of the plan may be revealed with the fiscal year 2017 budget bills are released, which is expected in the next few weeks. AZGS has been working with our colleagues to help craft the National Landslides Hazards Reduction Act which was introduced in the US House by Rep. Suzan DelBene of Washington. Rep. DelBene's district includes the Oso landslide which killed 42 people just two years ago. HR4776 includes provisions for a federal-state cooperative effort to conduct landslide hazards inventories and assessments in each state with federal matching funds. The American Geosciences Institute's Critical Issues Program is pleased to offer a free webinar, "Underpinning Innovation: The Science and Supply of America's Critical Minerals and Materials", on March 30, 2016, 1:00PM EDT. After registering, you will receive a confirmation email containing information about joining the webinar. We will post a recording of the webinar on the Critical Issues website after the event. If you cannot make the webinar but want to be informed about the recording, please register and we will notify you as soon as the recording is available. Critical minerals and materials are key components of the innovation economy. Minerals are a part of almost every product we use on a daily basis, either as the raw materials for manufacturing processes or as the end products themselves. Advanced technologies for communications, clean energy, medical devices, and national security rely on raw materials from mines throughout the world. In 2010, China curtailed exports of rare earth metals and sparked major concern about the security of global supply chains for a range of vital minerals and materials. This webinar is based on a Congressional briefing organized by AGI on behalf of the Mineral Science & Information Coalition (3 March 2016). The webinar will address the efforts being taken at the federal level to ensure a steady supply of critical minerals and materials. AGI would like to recognize their webinar co-sponsors: American Chemical Society; American Exploration & Mining Association; American Physical Society; Critical Materials Institute; Geological Society of America; Industrial Minerals Association -North America; Society for Mining, Metallurgy, and Exploration; Society of Economic Geologists; U.S. Geological Survey. We are coming down to the wire. The Senate Commerce Committee heard the bill yesterday and passed it along party lines. Several Republican senators expressed concern about the bill when they voted to pass it. The next step is for the Bill to go to the Senate floor – first for Committee of the Whole where there could be additional amendments considered, then to a 3rd read where they would officially vote on the engrossed version. If any amendments are adopted where the Bill is different than the House version it would need to go back to the House where the Bill sponsor ([Rep.] Petersen) could either concur with the amendments or not concur. If he concurs with the amendments it would need a final vote in the House. If he does not concur it would then get thrown into conference committee. Bottom line is we are hoping for a floor amendment in Senate Committee of the Whole that would remove sections F and G of the Bill. 1)Earned a Geology degree from an accredited Educational Institution. 2) Participated in geologic work experience outside of an educational institution for at least 4 years. Providing an option for individuals to practice geology in the state would result (Section F) in allowing those individuals with a sketchy background (had their license suspended or revoked in Az or another state due to malpractice, have committed a felony, and/or have committed an ethical violation) to pursue being able to provide Geologic Service to the unsuspecting public without being vetted by the BTR [Arizona Board of Technical Registration] through their permit and renewal process.